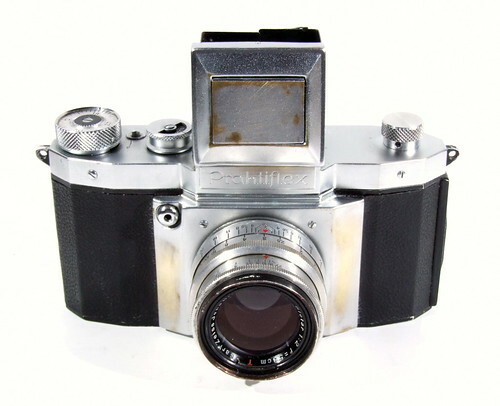 The Praktiflex is a 35mm SLR film camera, manufactured by Kamera-Werkstätten VEB Niedersedlitz, (KW) Dresden, former East Germany and produced between 1939-49. 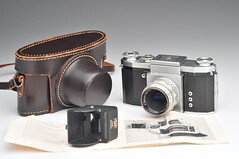 KW was the third manufacturer to introduce a 24×36 SLR camera; only the Kine Exakta and the Russian Sport preceded it. 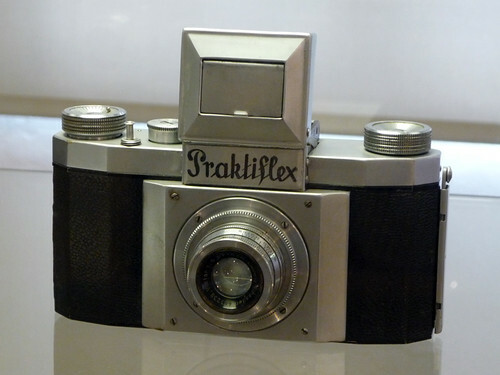 Also, the Praktiflex was the world's first small-format SLR camera with a returnable mirror and with a screw mount for interchangeable lenses. 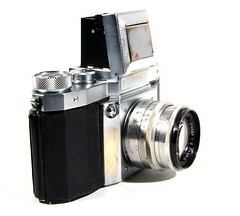 Its successor, the Praktica, became a very long and successful series of models. The Praktiflex has a special 40mm in diameter screw thread lens mount, and takes only Praktiflex lenses. The 42mm thread mount became available from about 1947, and was thus initiated by this manufacturer. 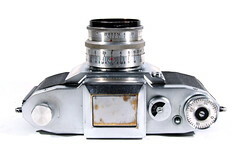 This lens mount became practically an universal industry standard, until about 1975 when the need for increased exchange of information between camera and lens made the bayonet mount a more practical arrangement. 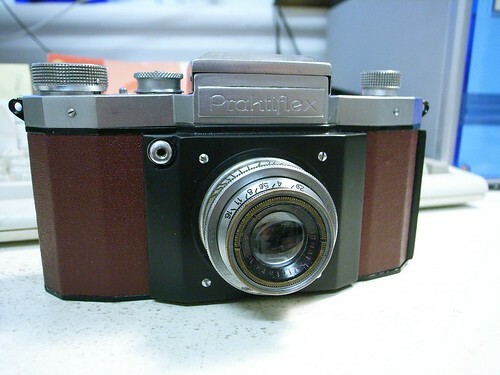 There are many models and variants of the Praktiflex. They could be divided two main generations. The first generation includes pre-WW2 models and the second generation includes post-WW2 models. Mirror: not instant return, raises by pressing the release button. Shutter releases only when the mirror is raised. There are some variants with special coloured leatherette like red, blue, gray. 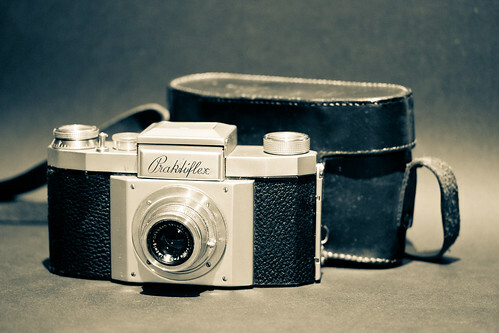 The name Praktiflex FX was briefly used in the 1950s for a USA export name for a version of the Praktica FX. It was also sold under various other brand names such as "Columbia 35" and "Rival Reflex" in export markets. This page was last edited on 27 October 2017, at 05:24.